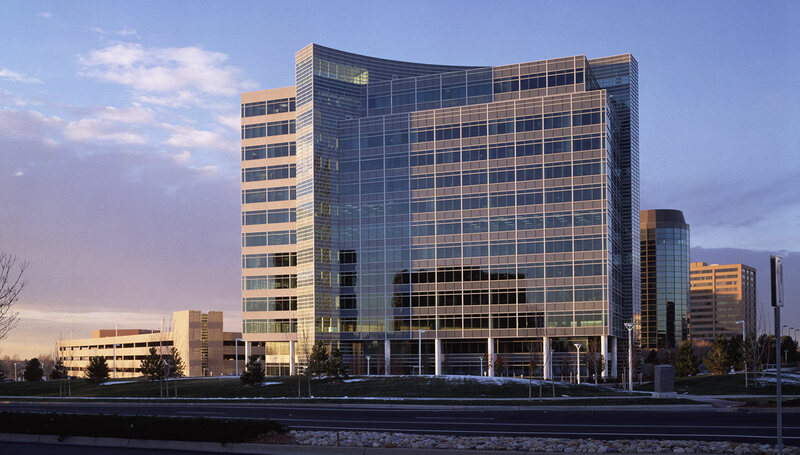 Sited on a high plain overlooking the Rocky Mountains, 4600 South Syracuse is the first of a planned two-building complex within the Denver Technology Center. 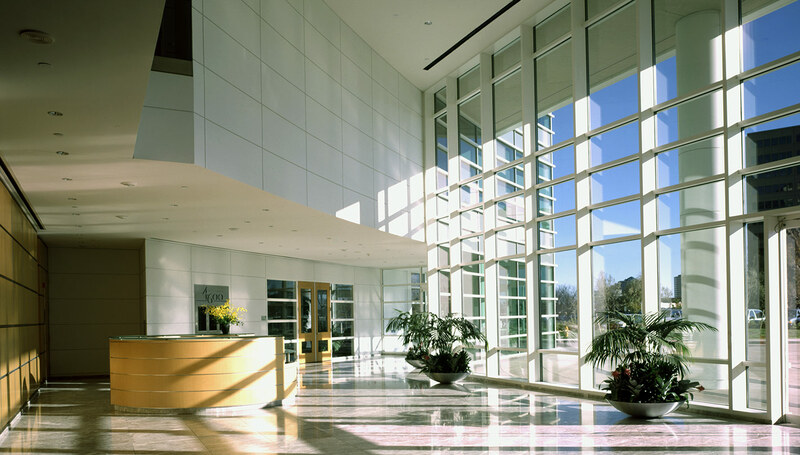 It serves as the corporate headquarters for Tanning Technologies, a leading software developer. 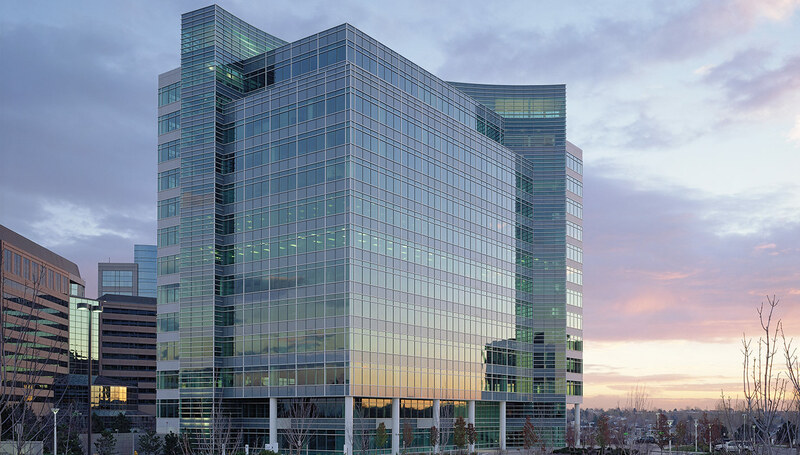 Slightly splayed from a central axis, the building provides tenants breathtaking mountain views through floor-to-ceiling clear glass windows. 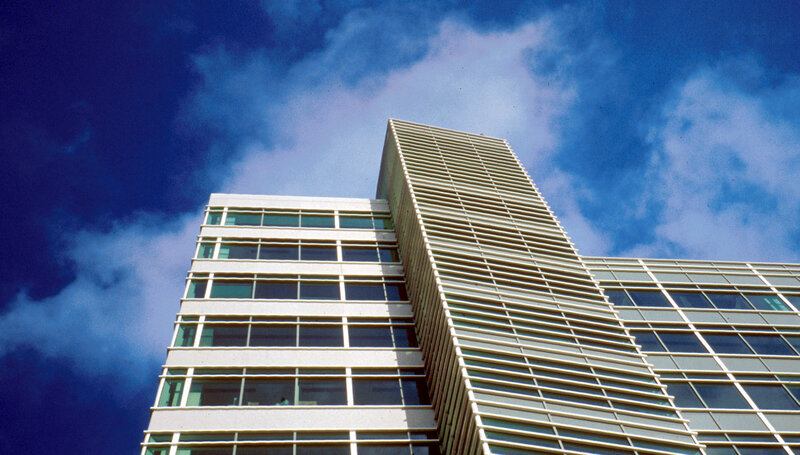 Deep horizontal mullions provide sun protection and give scale and articulation to the building surface. A sweeping arc slices through the building, creating premium office and conference space throughout, particularly at the penthouse level. The arc of the building's form unifies the composition of the entire complex and offers a well-defined stance toward the mountain vista.